Favored subject of the Hudson River School painters and site of Rip Van Winkle's enchanted nap, the Catskills were famously the first wilderness to inspire a frontier identity in early American art and writing. Washington Irving wrote, "Of all the scenery of the Hudson, the Kaatskill Mountains had the most witching effect on my boyish imagination." Two centuries later, there's no place closer to the big cities of the Northeastern seaboard that remains so wild. Just three and a half hours from the center of New York City, snowy winters and verdant summers provide four seasons of outdoor recreation, and a beautiful backdrop for a weekend away any time of year. The Catskills are split up into four distinct counties: Delaware, which is the largest and perhaps the most rugged; Greene, where English explorer Henry Hudson first landed in 1609; Sullivan, the site of the legendary 1969 Woodstock Music Festival; and Ulster, home of the historic town of New Paltz. Accommodations in this mountainous region run the gamut from the luxurious, such as the towering Mohonk Mountain House, to the quaint, such as Kate's Lazy Meadow Motel. Due to the region's counterculture pedigree, there are even a few "holistic" hotels and retreats like the New Age Health Spa. However, if you're looking for a more rustic stay in the Catskills, you can always pitch a tent and roast some marshmallows at one of the region's many campgrounds. Since it is helpful to have a car once you are there, we suggest that you make the drive up I-87 from New York City. However, direct bus service is available and modestly priced through Adirondack Trailways to both the Hunter Mountain and Windham Mountain resorts. Service operates daily from Manhattan, and takes about three and a half hours one way. Smiley's Taxi provides transport primarily to and from Hunter Mountain from close by Tannersville, though trips farther afield can be arranged. Following breakfast at your lodging, you can begin your trip by getting the lay of the land and doing some exploring. A tour through the area can be particularly striking during fall. The Catskills are famous for foliage, and while the timing for peak color varies from year to year based on weather conditions, the end of September is a good bet for viewing the most brilliant hues. A good place to start is the drive west on Route 23A. This is a grand entrance to the mountains, as your ascent will wend precipitously up a break in the escarpment. 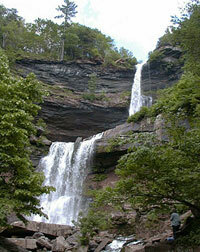 About halfway up you will see signs for Kaaterskill Falls. Highest in New York State at 260 feet, you will be able to park and hike a short but challenging 0.4-mile trail to view them up close. Head here early in the day to avoid crowds. Once you get back in the car, another few miles will bring you to the town of Tannersville. After lunch at Mama's Boy Burgers, enjoy a walk around the Mountaintop Arboretum, boasting native and exotic mountain species on 10 acres of gardens and paths. From Tannersville, continue on Route 23A until you make a left on Route 214 towards Phoenicia, a classic small town with shops along Main Street, straddling the Esopus Creek. If it's hot out, take a dip in the creek aboard an inner tube. Town Tinker Tube Rental can provide you with everything you need for a relaxing afternoon float down river. You don't need any experience, and you can either choose to travel down the calmer section of the creek, or if you're up for a bumpier ride, there's also a more adventurous run. Each takes about 2 hours. You'll end up just a few miles downstream where a special tube taxi will pick you up. Otherwise, since route 214 ends with Phoenicia, head east on Route 28. 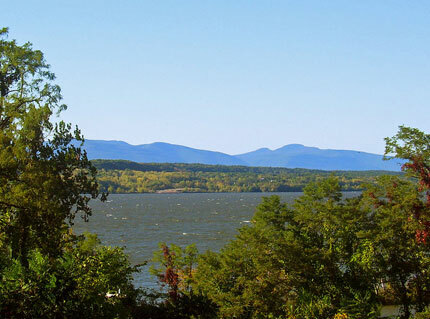 The road will soon follow the edge of the Ashokan Reservoir, which despite its distance 130 miles away from New York, serves as one of the city's primary water sources, reaching 190-foot depths. Making a left at Route 375 will take you right in to the town of Woodstock, famous for lending its name to the 1969 festival and for its large concentration of artists. The Center for Photography at Woodstock has excellent rotating exhibitions, and is open year-round from 12 a.m. to 5 p.m., Wednesday through Sunday. After taking in the sights, eat at Cucina, an Italian restaurant set in a restored farmhouse in Woodstock. If it's summer, grab a table on the wraparound porch. The menu is loaded with seasonal goodness — from wood-oven pizzas and simple pastas to heartier fare like baked salmon and short rib stews. After dinner, check the schedule of the Colony in the center of Woodstock. Housed in a close to century-old hotel, the live music venue's eclectic programming includes original music by local and nationally acclaimed artists ranging from bluegrass to funk and reggae dance parties, with performances seven nights a week.